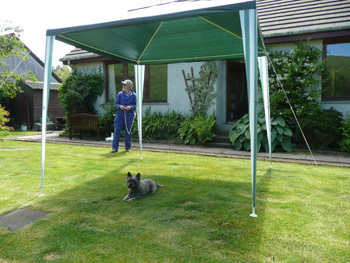 This is the initial putting up of the £11.99 gazebo. Misty thinks it is for her. The good news is that it works. This entry was posted in Blog and tagged gazebo. Bookmark the permalink. Is it windproof? Are you all well?